Leigh Whannell has had his hands in the Insidious franchise since the beginning, so with James Wan stepping down from the helm there was no better choice than Whannell, who finally gets a shot at directing the very series he helped create. 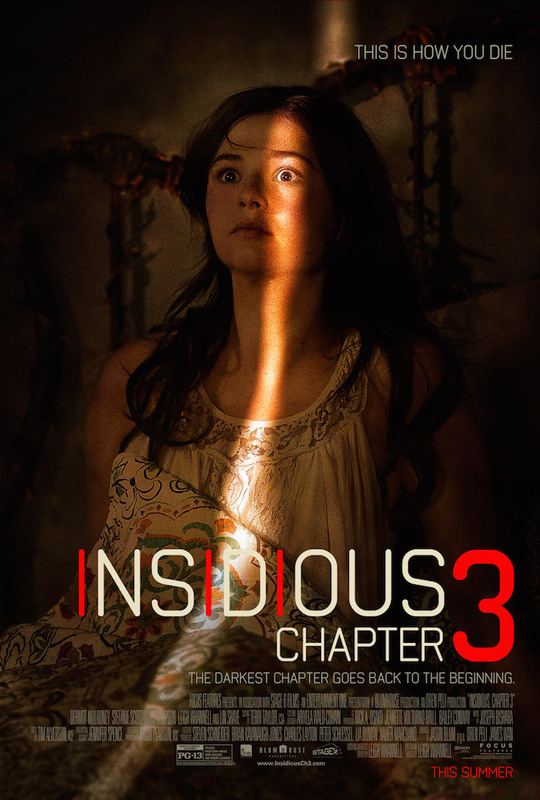 Insidious: Chapter 3 looks big, scary and weird as hell, which is what I love so much about this franchise—it’s not afraid to go to some weird places and certainly isn’t lacking when it comes to scares. Insidious: Chapter 3 hits theaters on June 5th. This looks good!!! I’m so excited! And Leigh Whannell directing this time, VERY cool 🙂 Happy day for horror! I’m really excited to see what Whannell has done with this one, it’s going to be interesting to see what kind of touches he picked up from Wan. Couldn’t agree more. That’s the thing about trailers these days, a lot of them spoil some of the best parts. We can only hope that they’re saving the best for later. I will likely eventually get to this, but I didn’t really like either of the last ones. The first one was going just fine then it lost the plot, the second one was awful for me (though I know it is your guilty pleasure) so I cannot really say I am flocking for this one. Hmmmm, guess we will have to wait and see what happens with it. The Insidious franchise is definitely a bit of a weird one, so I can totally understand where you’re coming from. With this one, though, I think it’ll be interesting to see how much different it is without James Wan behind it. Maybe the prequel approach is going to give it new legs. Hmmmm, you might be on to something there!